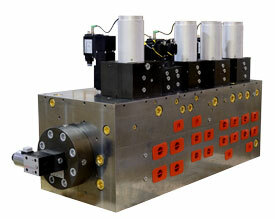 Most applications that use multiple valves, or have multiple control valve functions, can benefit from integrated hydraulics or custom manifold design. 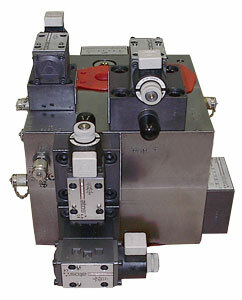 Consolidating valves and other components into one compact assembly saves space and reduces manufacturing and maintenance costs. 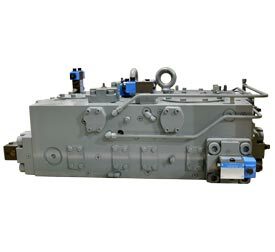 Contact us and find out how Advanced Fluid Systems can help you engineer a better hydraulic circuit with a custom hydraulic manifold design. 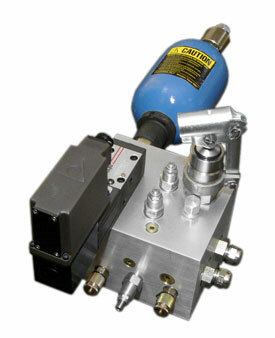 Manifold assemblies employing cartridge and subplate mounted valves allow for quick and easy valve replacement by eliminating fluid connections and hard to reach components. Fewer valve and port connections reduce leaks, hose and tubing costs and maintenance times. Infinite test port and diagnostic options allow for quick and easy troubleshooting. Sun Hydraulics’ custom manifolds utilize a 5-axis drilling process that eliminates construction plugs, lowers pressure drops and reduces the manifold size and cost.